In the modern world, teens face a variety of challenges that make managing life really difficult. Parents often aren’t sure where to turn when they notice changes in their teen’s behavior such as depression or substance abuse. There are lots of therapy options that can have a positive impact, one of which is deciding to send their children to an equine residential treatment center. These centers offer a unique approach to experiential therapy. The format and structure of an equine residential treatment center are similar to standard treatment facilities. Teens can receive academic help, mentoring, therapy, and more. Equine therapy has a long history of helping individuals with physical and emotional issues. The history of using horses as a therapy aid dates back to ancient times with Hippocrates. Further evidence was seen in the work of Edouard Chassiangnac, a neurologist in the 19th century, who used horseback riding to improve motor skills and emotional balance. The British military even used equine therapy to help rehabilitate WWII soldiers. More recently, the American Youth Horse Council reported that equine-related therapy helps teens with managing life’s challenges. When teens are responsible for another animal, they have a sense of purpose outside of themselves. It can be the catalyst for emotional breakthroughs and guide them on a path to healing. Teens are tasked with grooming, haltering, leading, and feeding horses. They may also oversee stable space maintenance and equine training. Riding them is really a secondary part of this therapy because it’s more about the teen being able to show care for others, which can repair self-esteem issues. Further, equine therapy is useful for those teens that grapple with anger issues. They’ll soon learn that bursts of anger scare horses, providing the teen with a clear example of the consequences of the behavior. Is an Equine Residential Treatment Right for Your Teen? While there is an exhaustive list of options for helping a teen with behavioral problems, you may determine that this unique approach would be a good fit for your child. Horse act as therapy assistants, as teens are often more comfortable around animals than adults. This may allow them to let their guard down and commit to talking about their feelings. 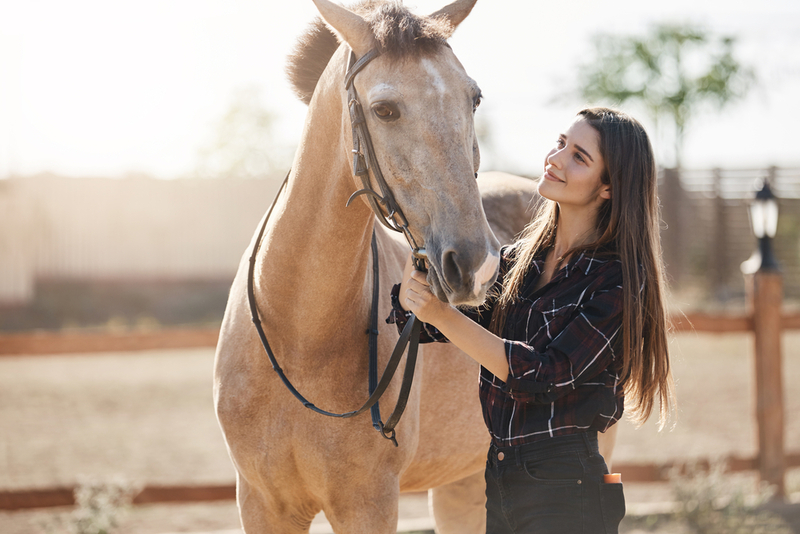 Another great feature of equine therapy is that it allows professionals to observe teens interactions with the animals, which can deliver some insights into their mindset. It’s also a great way to build confidence. Once a teen sees that he or she has the capacity to care for and take care of a horse, they may feel more inclined to give that same nurturing to themselves. Equine therapy has been a vital tool in treating teens with a variety of challenges including depression, anger management, anxiety, ADHD, self-harm, and substance abuse. At Help Your Teen Now, we offer parents support and guidance in finding programs for troubled teens through placement counseling. As an advocacy group for parents, our objective is to be a source for education and information. For more information about equine residential treatment centers, contact us today.